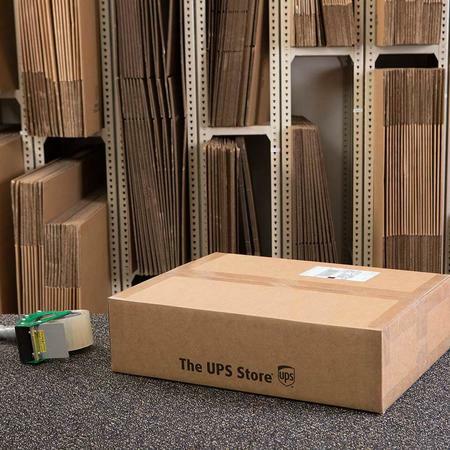 Trust our team to help you with the right packaging and shipping solutions to get your goods where they need to be. Our certified packing experts can pack almost anything. Save yourself time and let us help ensure your items arrive intact at their destination. We specialize in properly packing fragile and high-value items, including antiques, art, electronics, crystal, china and porcelain. At your Oakville UPS Store, we treat your items with the tender loving care they deserve, as if they were our own. Want proof? Our store has professionally packed more than 18,000 shipments without a loss/damage incident attributable to our methods. Large or odd-shaped items often require specialized packaging. We offer custom handling and packaging, from blanket wrap to custom cartons, crating, shrink-wrapping and palletizing. Believe it or not, The UPS Store can handle shipping a car or grand piano! Not sure where to begin? Stop by and talk to our certified packing experts today. We can advise you on the best packaging method needed for your item(s).